One year ago today, I received notice of my impending layoff doom. I “celebrated” by filing my weekly unemployment compensation paperwork and submitting three completed job applications. A person could be very affected by a thing like that. This observation followed a battery of IQ tests administered by my “progressive” school designed to convince my teacher mother that I should be moved up a grade or two – which all started with my missing math circle one day because I was absorbed in the reading book – I mean, reading the WHOLE book – that day. Before I knew what hit me, I was taking New Math (which eventually “took” me), my Daddy was screaming, “I have no ! @# idea what ‘units’ are – 3 goes into 6 exactly two times just because it does!!! 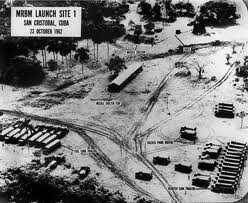 !” and in-between weekly air raid drills when I knelt down sticking my head in my desk [because we lived in Florida and those Spanish lessons were NOT going to save us] – I still believed in Santa Claus. Taking a break from one of those fun word-matching automated endless mind loop online applications, I was happily diverted by an evite to take a trip back in time! All I had to do was upload a photo of myself and answer a few questions – such as which relative of mine was living in 1940 – and the video software would project what I might have been doing at that time. I chose my grandmother. Funnily enough, according to the time machine video, if I had been a white collar female worker in 1940, I’d have been a stenographer – something my grandmother always dreamed of herself. I remember when she bought a typewriter, covered the keys with black caps, and did a distance learning course in touch typing. People in my mother’s rural hometown, where I spent every summer on my grandparents’ farm growing up, say that I look a lot like my grandmother. It’s odd that I never thought so. But, on reflection, I’m beginning to see certain other parallels which have surprised me. My grandmother worked for the telephone company when married women were not allowed. So, in the throes of the Great Depression, when she and my grandfather decided to marry, but still needed to save money to buy their own farm, she made a singular but practical sacrifice. In order to keep her marital status secret and retain her job for another year, they married at a Justice of the Peace with only the two (2) requisite witnesses, who were neither family nor close friends. There was no wedding dress, no cake, no party. Not only was there no honeymoon, they couldn’t even live together. There is not a single picture of it. I only know that much from oral herstory. 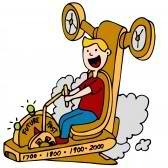 Here we are 72 years after my fantasy time machine travel in a recession as bad as any since the Great Depression. And women all over the American workplace, married or single, are once again having to make unromantic, practical decisions in order to keep some dream alive. In many cases, it’s the simple dream not to die at their desks. In others, it’s the dream of ever having a desk again. I had my grandmother until I was 50 years old. That’s quite remarkable. I’ve been unemployed 9 months now. That’s merely average. My mother – she of the remarkably blunt advice – has always told me that when things are tough, you have to “gut it out”. If the Cubans didn’t get me and New Math didn’t get me – a layoff’s not going to get me, either. I am made of better stuff. Tomorrow morning, I’m doing a phone interview, and immediately thereafter, I am going to gut it out and submit some more job applications. 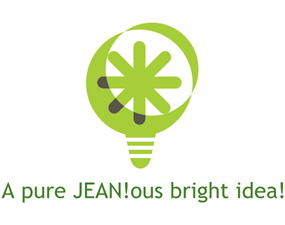 That’s not merely a bright idea, it’s pure JEAN!ous. Pure delight! Loved this one! 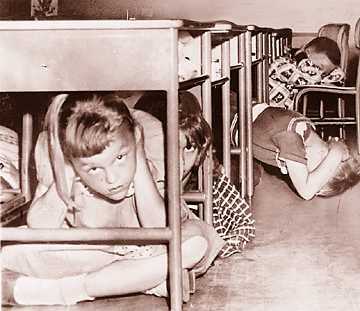 By they way, we children of the north also had drills where we dove under our desks. We were practicing for when the Russians came! Personally, I think it’s time for you to find a publisher and write a book of some sort! Meanwhile, you could teach math, new or old, as a sub. Not great money, but flexible and a way to keep looking for a GREAT position. Wild story about your Grandmother! Must have been romantic to have to keep the marriage a secret. Oh, noooooo, Mr. Bill! The children of America deserve a break. Sadly, in DC, the amount paid to substitute teach without accreditation is exactly equal to unemployment compensation. And that says it all. You can probably get your high school transcript (I did a few years ago to join MENSA based on my SAT scores) and it showed my IQ from back in elementary school. Have you read What Color is Your Parachute? Guerrilla Marketing for Job Hunters is also a great book, both for tactics and to explain how recruiters operate and think. Personally, I loved New Math and grew up to become a computer engineer. Kirk Kirk Kirk – I don’t need to see or know a number to be sure that my mother was right: I am bright, but not brilliant. No MENSA for me. I’m the one who has to get up earlier and work harder. I’m delighted the New Math worked out for you – it was too abstract and conceptual for my 7-year old brain. And then my family moved back to Georgia and I was in an UNprogresssive school and faced with multiplication tables. Age 9 version of a mental meltdown: I broke out in hives which were finally diagnosed by the determatologist (after months of unsuccessful treatment) as psychosomatic. I had a math and timed test phobia for years as a result. And sadly, I’ve learned a bit about how recruiters operate and think over the past 9 months from first-hand experience. Stay tuned . . . .